When choosing to buy or lease a new car you'll be faced with a multitude of decisions. Not less, whether to select a diesel or petrol vehicle for your needs. 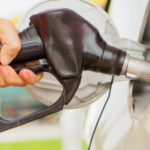 Diesel has become an increasingly popular option for drivers in the past decade. This is largely because UK government have hailed diesel to be more environmentally friendly. Similarly, diesel cars are more efficient, especially if you travel long distances regularly. In fact, it is their economic credentials which led the government to believe that diesel engines were a more environmentally friendly option. This has now been proven to be inaccurate. When wholesale costs for diesel and petrol are the same, why is diesel more expensive? Why is diesel more expensive than petrol? 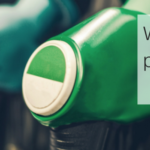 Did you know that the wholesale price of diesel and unleaded are almost the same? This may be a shock to many people and it's easy to see why. In this article we discover the nitty gritty as to why diesel costs more at the pumps than petrol.